Clean Grid is user friendly, 100% responsive, gallery blogger template to showcase your content clean and elegantly. It is Template Designer compatible, you can change colors and fonts of the theme within few seconds without editing HTML. The theme is optimized for search engines and necessary meta tags and structured data have been included. 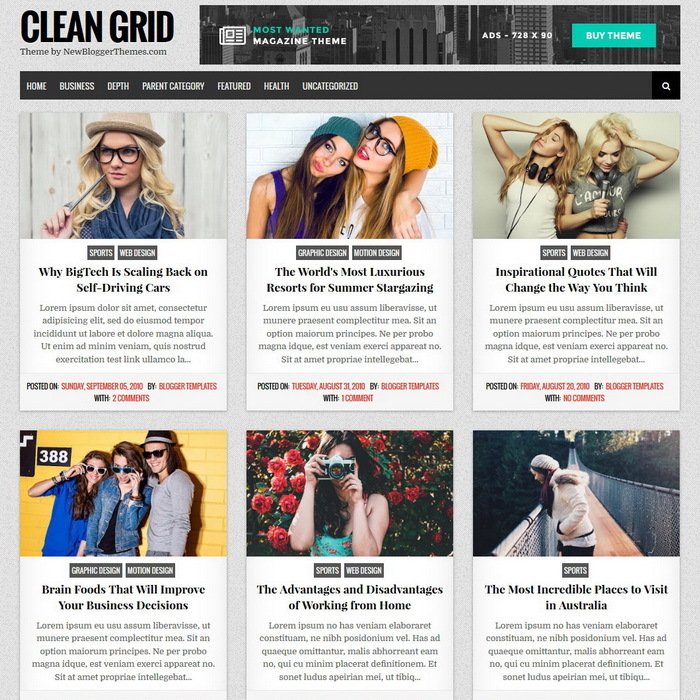 Clean Grid Blogger Template has a grid style layout, FontAwesome social buttons, custom post summaries, color and font options, related posts with thumbnails, share buttons, multi-level navigation menu, sticky sidebar and more features. 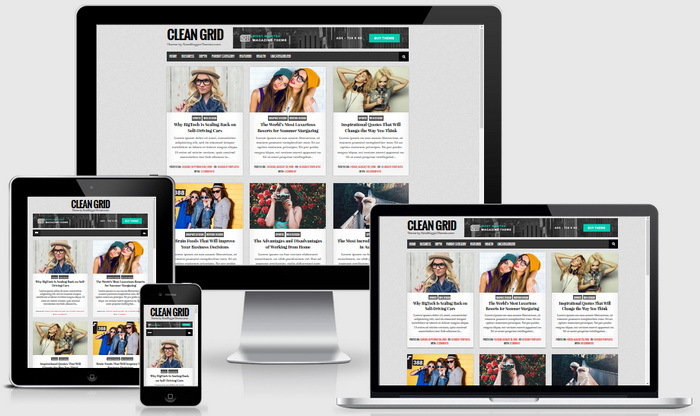 Clean Grid is a fully responsive blogger theme that allows for easy viewing on any device from phone to desktop.